#HOLIRecipe - Beetroot and Tofu Barfi is a healthy and delicious Indian sweet that can be prepared during Holi . This colorful & healthy recipe is prepared without any artificial colors. 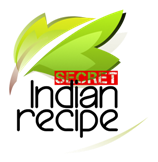 Abhinetri's Secret Indian Recipe ! Ghee / Clarified Butter – 4 tablespoons. Take a kadai /wok. Heat Ghee. Once the ghee is warm , add grated beetroot to it. Saute it until it gets dried such that the raw smell of the beetroot goes off. To this , add grated tofu and sugar . Mix it well so that no lumps are formed. Allow it to cook over medium flame by mixing it carefully , until the mixture does not stick the pan. In the meanwhile, take a serving plate.Apply ghee to it. Then switch off the flame and transfer the hot beetroot and tofu mix to the ghee applied plate. Spread it evenly with a flat spatula. Take a knife and make marks through this mixture. Ensure that the mixture is hot while making mark . Also do not separate it into pieces else the pieces may break. Allow it to cool for some time. Once it is cool , garnish the barfis with slightly fried cashewnuts or grated almonds. The Beetroot and Tofu Barfi is ready to be served. Wipe the tofu dry with a soft cloth before grating it in order to get a perfect shape. भाकरवड़ी रेसिपी | bhakarwadi recipe | di . . .
दिवाली पर बनाये लाजवाब चॉकलेट रोल | qui . . .
Pan laddu | पान के लडडू | paan laddu | . . .
स्पॉन्जी रसगुल्ले बनाने का सबसे आसान ओर . . .